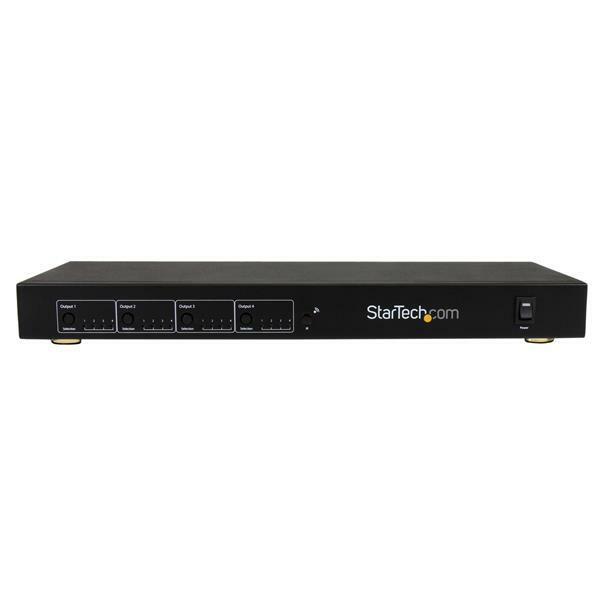 This HDBaseT HDMI Matrix Switch and Cat5 extender is an all-in-one digital signage solution that enables you to extend four distinct HDMI audio/video sources up to 230ft (70m), to four remote displays using STHDBTRX receiver units (sold separately). Matrix switching allows each of the remote displays to output and switch between any of the video sources. The switch extends HDMI using standard Cat5e or Cat6 Ethernet cable with RJ45 connectors, allowing you to use your existing cabling infrastructure, with no added cost in specialized cabling or connectors. 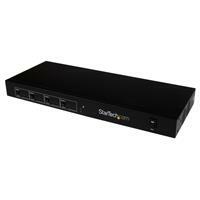 Plus, because the HDMI extender also allows for matrix switching in one easy-to-use and clutter-free device, it eliminates the expense and hassle of running multiple devices. For complete end-to-end control the switch can extend Infrared using the IR extender and receiver cables included with the STHDBTRX receiver units (sold separately). For local operation, the HDMI switch also includes a remote control, and easy-to-use front panel buttons that allow you to toggle between video sources. 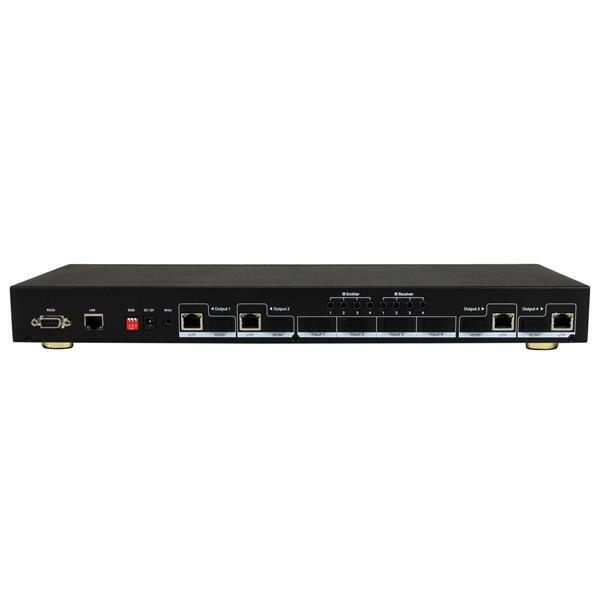 Ideal for High-Definition applications, the matrix switch supports 1920x1200/1080p video resolutions and digital audio. Plus, built-in EDID monitor emulation ensures native resolution and maximum compatibility with your display or projector, for a convenient plug-and-play installation. The ST424HDBT is backed by a StarTech.com 2-year warranty and free lifetime technical support.